Football Helmet Recall: Is Your Child At Risk? 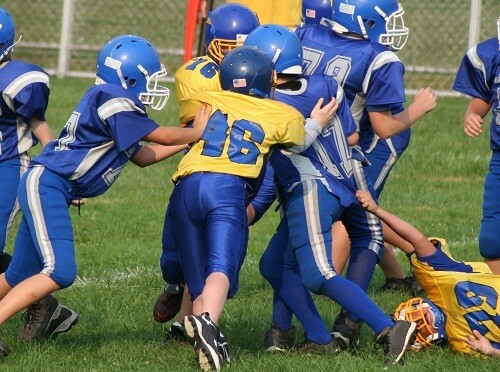 Home » Blog » Football Helmet Recall: Is Your Child At Risk? Wearing a helmet during football is one of the most important things anyone who plays the game can do. But is it enough? The type of helmet, the brand, and other factors about it may make it a better or worse choice for a player. If your child plays football, you naturally want to make them as safe as they can be, to protect against concussions and other worries. Unfortunately, even when you choose a good helmet and feel like your child is safe, there can still be problems. In August of 2016, Xenith recalled approximately 6,000 football helmets because they have the chance to crack under pressure. Why Is a Cracked Helmet Shell So Dangerous? That cracking in the shell can increase the risk of injuries, including concussions and other brain injuries. The good news is that the company doesn’t have any reports of injury. The bad news is that they have accumulated nearly 30 reports of helmets that have cracked when players have been hit. Apparently, the helmets are supposed to have an additive that makes the shell-less brittle, and that keeps it from cracking when it is struck with force. These helmets are missing that additive, so the shells crack and can increase the risk for the players who are wearing them. The helmets that are being recalled are the metallic and gloss painted ones because they are the only ones that didn’t get the additive for the shell to remain more flexible. Since March of 2016, all Xenith helmets have used the additive, but if you have a helmet that has been factory-reconditioned or manufactured between May 1, 2015, and March 18, 2016, and it has metallic or gloss paint, it may be part of the recall. Concerned consumers can contact Xenith to find out if their helmet is part of the recall, and what they should do next. What If Your Child Has Been Injured? So far there haven’t been any injuries attributed to the faulty Xenith helmets, but that doesn’t mean there were no injuries or that there won’t be problems for children in the future with other potential football helmet recalls and failures. Additionally, even the best helmets today still have safety ratings that many scientists are questioning for their reliability and usefulness. A lot of research has gone into making helmets better, but there are still concerns and more studies that have to be done. Checking your child’s current helmet against the most up-to-date guidelines is the first step. If your child has been injured by a recalled football helmet or just one that’s supposed to meet current guidelines but has failed as protection against a concussion or other problems, contact Dashner Law Firm. We will work with you to develop your case, get the compensation that is fair and just, and ensure that other children are protected in the future by making companies accountable for the products they put on the market. You don’t have to expect injuries as part of your child’s football experience. A helmet is there to protect them. If it doesn’t, we may be able to help.